The cryptocurrency market has been bleeding since the past few days and it has taken down many major coins with it. 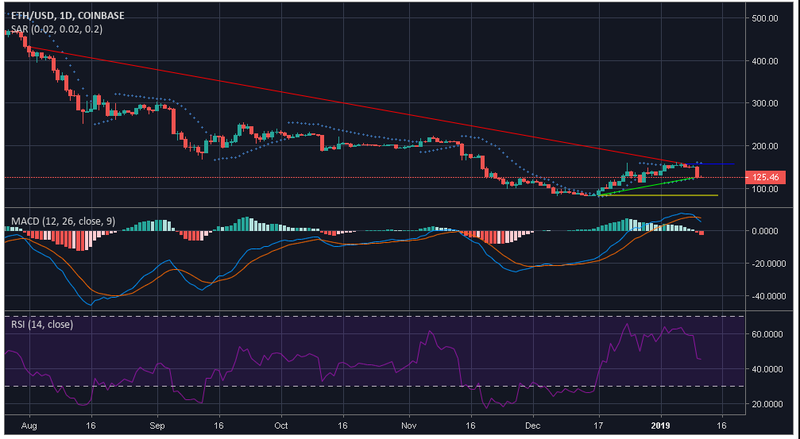 Ethereum [ETH] which was the second-largest coin until January 10, slipped to third, making way for XRP to climb up. At the time of press, ETH was valued at $129.27, with a market cap of $113.4 billion. The 24-hour trading volume of the coin was $3 billion, with a fall of over 5% within the past day. The coin recorded an overall fall of 15.79% over the past week. The coin is still falling as it registered a slip by 0.29% in the past hour. The coin’s one-hour chart recorded a downtrend from $148.13 to $125.01, while a minimal uptrend was observed from $125.01 to $126.81. The resistance of the coin was marked at $128.61 while the support was noted at $125.01. Bollinger Bands appear to be converged, and the moving average line is over the candlestick marking a bearish market. Awesome Oscillator indicates that the bull is losing momentum. Chaikin Money Flow also indicates a bullish market as the marker is above zero. The one-day chart of the coin indicates a downtrend from $432.26 to $157.15, the coin reported a minimal uptrend from $83.51 to $126.41. 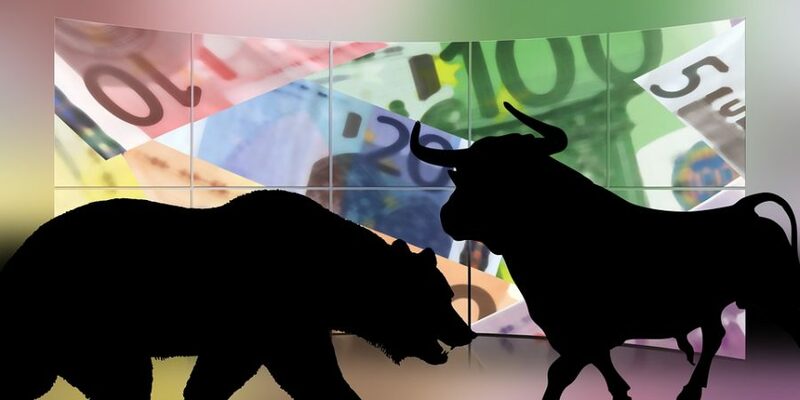 The coin marked a resistance at $157.15, while support was noted at $83.51. Parabolic SAR indicates a bullish trend as the markers aligns above the candles. MACD line is under the signal line, marking a bearish market. Relative Strength Index is indicating that the buying and the selling pressures are evening each other out. As per the indicators, Awesome Oscillator, Chaikin Money Flow, and Parabolic SAR forecast a bullish market. However, Bollinger Bands and MACD predict bearish wrath overtaking the market.